When carrying heavy items, it's vital that you can have a secure and safe grip. 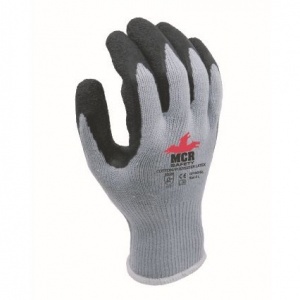 The MCR Safety GP1001SL1 General Purpose Latex Palm Coated Safety Gloves feature a latex palm coating, ideal for use in wet and dry conditions. The latex coating also provides improved flexibility, making them incredibly comfortable and easy to wear. 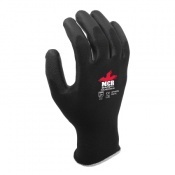 To ensure your hands are comfortable as you work, the MCR Safety GP1001SL1 gloves' latex coating provides a great level of flexibility. 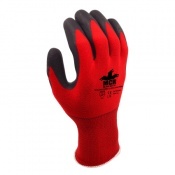 This makes the gloves more comfortable to wear and easier to use throughout the working day. Alongside flexibility, the coating also offers a fantastic level of abrasion and tear resistance, giving you the protection you need. The latex finger and palm coating on the MCR Safety GP1001SL1 gloves make them ideal for use in both wet and dry environments. 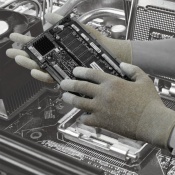 The coating provides you with an exceptional grip – perfect for wet environments where a secure hold on objects is vital.